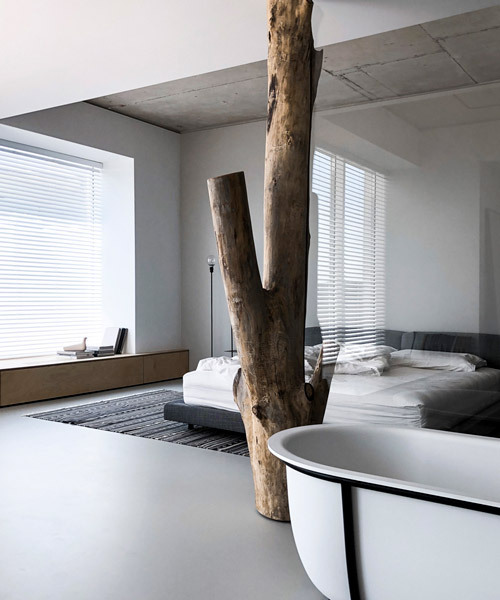 line architects is a moldovan architecture studio specialized in minimalist architecture and interior design. all the spaces of the building with flowing areas are filled with modern objects of art, which is more like a museum, rather than a private house, in which you can wander passing from one space to another. the apartment, designed for a young creative couple, combines coarse and soft textures harmoniously.